The Story of New Name is the second novel in Elena Ferrante’s four “Neapolitan novels.” This work takes Elena Greco and Lila Cerullo, the two main characters, and moves them from adolescent to young adulthood. There is little to prepare the reader for Ferrante’s work. She is unflinching and completely devoid of fear. She writes honestly and brutally about her world – post-war Naples. In the process, she has written a book that is at once beautiful art, and also, a kind of journalism. Naples is on trial in this work, and the characters face the harsh reality of what their region, and country, offers and fails to provide. Everyone was poor in the first novel, My Brilliant Friend. Now a measure of prosperity comes to most – especially Lila. But this fails to bring her any lasting satisfaction. She is a sixteen year old wife who is raped by her husband on her honeymoon. Her fierce determination to be herself eventually leads her to the very margins of Neapolitan life. For Lenu, we get a glimpse that writing may save her; that her fractured identity may be healed. But on this, we are far from sure. 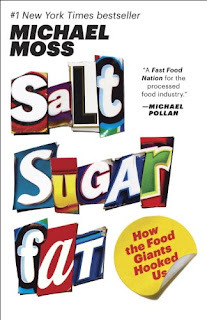 Salt Sugar Fat: How the Food Giants Hooked Us, by Michael Moss, is truly necessary education for all. In great detail, Moss explains how the food industry seeks and has sought to “hook” us to their products, most of which are extremely bad for our health. Processed food, snacks, and prepared meals, only exist because of the special combinations of the three ingredients in the title, which cause obesity, high-blood pressure, and a host of other medical conditions. The processed food trend began following World War Two, as more women entered the job market. There was less time for prepared meals, and food companies filled the growing niche. In the seventy years since, this type of "food" has perched us near the precipice of a health crisis on par with smoking. Moss’ book is fascinating, instructive, and enlightening. If you want to learn more about what you put into your mouth, this book is essential. The Age of Miracles, a novel by Karen Thompson Walker, has an interesting premise: the earth begins to slow its rotation. Days and nights are extended. Society, by turns, adjusts and breaks down. This premise holds the novel together. Thompson does little in this work that is new or interesting in terms of story or language, but she has a solid plot device which she fully exploits. Another saving grace is the preteen narrator. 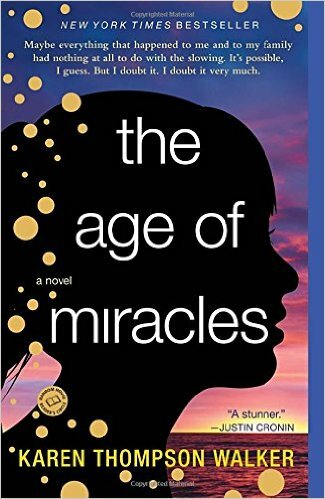 She is adjusting to her changing world on two levels: as a girl growing up, and to a world that is coming apart at the seams. Thompson links the two elements very effectively. We are left with the distinct impression at the end of this work that humanity, and this girl, may still have a chance to survive in this strange world of long days and nights. But we are far from certain. Humanity is always on the cusp of destruction, Thompson appears to tell us, yet somehow survives. We Were Soldiers Once . 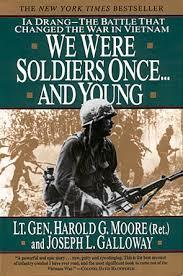 . . and Young: Ia Drang—The Battle That Changed the War in Vietnam, by Hal Moore, tells the story of the first large scale battle of the Vietnam War. The Battle of Ia Drang was the first to use helicopters to ferry infantry (in this case, air cavalry) deep into the Vietnam central highlands. The battle became a paradigm of the “search and destroy” missions that would characterize most of the conflict. After reading this account, which includes the battle at LZ XRAY, and then the terrible ambush at LZ Albany, it is difficult to believe that any military planners thought this war could be won; America did not have the stomach for a war of attrition with the North Vietnamese, and one of the signs was the heavy casualties taken by American troops in the Ia Drang Valley. We won both engagements, but this paradigm was not sustainable. This book is strongly written, detailed, and packs a powerful punch. If you want to see the pivot point of the war in Vietnam unfold before you, read this book. 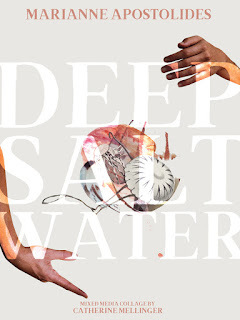 Marianne Apostolides has written a rich, textured memoir in Deep Salt Water. This work is about abortion and its outcomes, but it also explores the overall sense of the nature of life, how it comes about, and how it is destroyed. In this delicate balance of themes, Apostolides also weaves a narrative about the ecological destruction of our planet. People are making choices to maintain life or destroy it; the complexity of these decisions, both on a micro and macro level, is the fuel behind Apostolides’ narrative. We are all cut from one cloth. What we decide has a wide impact. Apostolides holds us to account with passion and empathy. 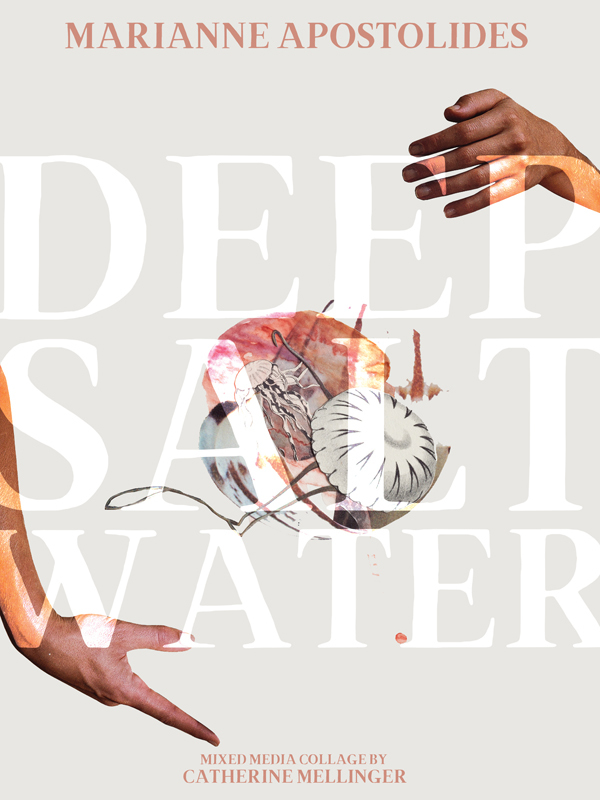 Like all her books, Deep Salt Water has a firm sense of drive, mission, and the overarching sense of necessity. Apostolides has the rare gift of presenting us with writing which has the emotive tone of absolute and rich compulsion. When all of these are taken together, it is inevitable that the reader will be profoundly rewarded by this remarkable book. Judaisms: A Twenty-First-Century Introduction to Jews and Jewish Identities by Aaron J. Hahn Tapper takes a firm, post-modern, and as the title suggests, twenty-first century look at what it means to be Jewish. 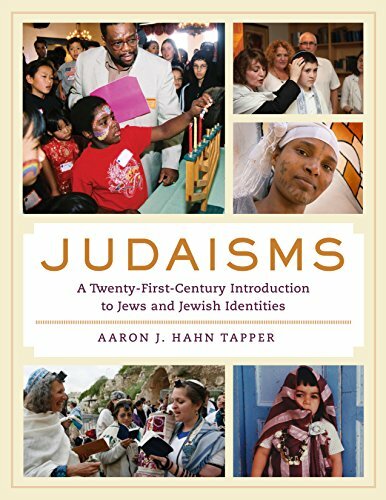 Tapper explores the numerous narratives of Judaism. He certainly explains the so-called “normative” narratives of orthodoxy, Ashkenazi Judaism, but his real purpose is to open the conversation of how diverse this thing called Judaism really is; in that vein, the books asks more questions than providing answers. It presents other narratives of Judaisms for our examination. This book is attractive to just such people; those who are looking to open the avenues of Jewish expression beyond those developed since the conclusion of World War Two. 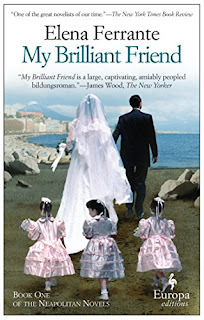 Elena Ferrante’s Italian language novel My Brilliant Friend strikes a strong note in the well-traveled genre of Bildungsroman, or coming of age novels. 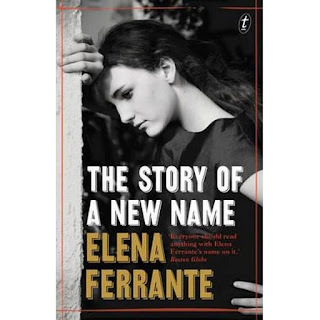 Ferrante’s novel weaves a strong sense of place, Naples after the Second World War, with stellar, on point character development to form a novel that is nearly perfect in its pitch and tone. The novel does not degenerate into a detailing of the “exotic” other. Nor does it tumble into the pitfalls of coming of age novels, with their mawkish sentiments and set piece sexual scenes. No, through Ferrante’s narrator Lelu, a bookish, hardworking girl, and her magnetic attachment to Lila, another girl, equally smart and driven, we get a fully formed view of a time and a place. Ferrante has written a fearless novel about a city and its children. Despite its universal reach, for anyone with southern Italian ancestry, the characters and situations will be (often disconcertingly) familiar.